Universally acknowledged as one of the foremost composers of our time, Sir Peter Maxwell Davies made a significant contribution to musical history through his wide ranging and prolific output. He lived for much of his life in the Orkney Islands off the north coast of Scotland, where he wrote most of his music. In a work list that spans more than five decades, he wrote across a broad range of styles, yet his music always communicates directly and powerfully, whether in his profoundly argued symphonic works, his music-theatre works or witty light orchestral works. Maxwell Davies’ major dramatic works include full-length ballets Salome and Caroline Mathilde, music-theatre works Eight Songs for a Mad King and Miss Donnithorne's Maggot, and operas Resurrection, The Lighthouse, The Doctor of Myddfai, and Taverner, which was recently released by NMC Records on a Grammy-nominated disc with the BBC Symphony Orchestra conducted by Oliver Knussen. MaxwellDavies’s last opera Kommilitonen! (Young Blood!) received critical acclaim for its world premiere run of performances at London’s Royal Academy of Music, with the Daily Telegraph labelling the composer “a master symphonist”. Maxwell Davies’ huge output of orchestral work comprises ten symphonies - hailed bythe Times as “the most important symphonic cycle since Shostakovich” – as well as numerous concerti including the Strathclyde Concerto series and most recently his violin concerto Fiddler on the Shore, written for Daniel Hope and first performed in 2009 by the Gewandhausorchester Leipzig and at the BBC Proms. Maxwell Davies’ light orchestral works include An Orkney Wedding with Sunrise and Mavis in Las Vegas, and five large-scale works for chorus including the oratorio Job. His landmark cycle of ten string quartets, the Naxos Quartets, were described in the Financial Times as “one of the most impressive musical statements of our time”. Recent highlights include Maxwell Davies’ last symphony (Symphony No. 10) was commissioned by the London Symphony Orchestra, Orchestra of the Accademia Nazionale di Santa Cecilia and the Tchaikovsky Symphony Orchestra, and was premiered by LSO at the Barbican Centre in February 2014 to great critical acclaim, conducted by Sir Antonio Pappano. 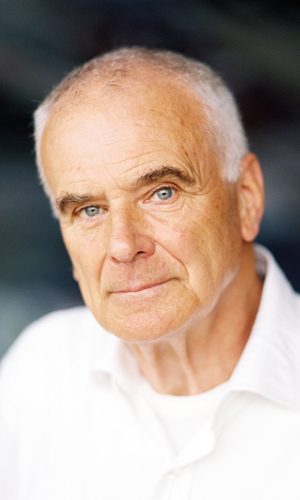 Maxwell Davies held the position of Composer/Conductor with both the Royal Philharmonic and BBC Philharmonic Orchestras for many years and guest-conducted several major orchestras including the Cleveland Orchestra, Boston Symphony Orchestra,San Francisco Symphony, Leipzig Gewandhaus Orchestra and Philharmonia Orchestra. He founded the St. Magnus Festival, Orkney’s annual arts festival, in 1977, was Composer Laureate of the Scottish Chamber Orchestra and Visiting Professor at the Royal Academy of Music and Canterbury Christchurch University. Maxwell Davies was appointed Master of the Queen's Music from 2004-2014, in which role he sought to raise the profile of music in Great Britain, as well as writing many works for Her Majesty the Queen and for royal occasions. He was knighted in 1987 and made a Member of the Order of the Companions of Honour (CH) in the New Year 2014 Honours List. The music of Peter Maxwell Davies is published by Chester Music Ltd.